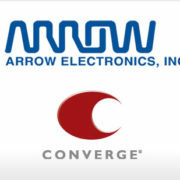 Palm Beach, FL – April 6, 2010 – BG Strategic Advisors is pleased to announce that Arrow Electronics Inc., a global distributor of electronic components and enterprise computing products, services and solutions, has agreed to acquire PCG Parent Corp. (d/b/a Converge), a leading provider of reverse logistics services for electronics manufacturers and electronic component suppliers. BG Strategic Advisors acted as the exclusive financial advisor to PCG Parent Corp. in this transaction. PCG Parent Corp., with 350 employees, is headquartered in Peabody, Massachusetts, with offices in Columbus, Ohio, Singapore and the Netherlands and support centers throughout Europe, the United States and Asia. The transaction is subject to regulatory approval and is expected to close in May, 2010. Converge provides a leading set of reverse logistics solutions and end-of-life asset disposal solutions to a broad set of electronic manufacturers and electronic component suppliers. The company distinguishes itself by providing sophisticated solutions globally with a high degree of visibility and secure chain of custody. For more information, visit www.converge.com. 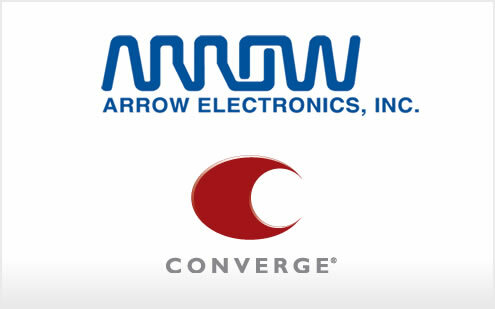 Arrow Electronics is a global provider of products, services and solutions to industrial and commercial users of electronic components and enterprise computing solutions. Headquartered in Melville, NY, Arrow serves as a supply channel partner for over 900 suppliers and 125,000 original equipment manufacturers, contract manufacturers and commercial customers through a global network of more than 310 locations in 51 countries and territories. BG Strategic Advisors (“BGSA”) acted as the exclusive financial advisor to PCG Parent Corp. on this transaction. BGSA is the leading M&A advisory firm focused on the logistics and supply chain industry. The firm specializes in providing CEOs in the logistics and supply chain industry with the tools to maximize their company’s value. BGSA has completed several well-known supply chain deals, including the sales of Dixie Warehouse Services and Wilpak Inc. to Jacobson Companies, the PWC Logistics acquisition of GeoLogistics, the Churchill sale to BirdDog, the Raytrans sale to Echo Global, the Unicity sale to PBB, the Air-Road sale to Reliant Equity, and many others. For more information, or to explore a sale, merger, acquisition, capital raise, or other strategic initiative for your company, please contact Managing Director Benjamin Gordon (561) 932-1601, email ben@bgsa.com, or visit www.bgsa.com. https://bgstrategicadvisors.com/wp-content/uploads/2010/04/arrow_converge.jpg 309 495 admin http://bgstrategicadvisors.com/wp-content/uploads/2017/06/bgsa_logo_237x100.png admin2010-04-06 05:00:012017-06-25 16:44:28Arrow Electronics Inc.